Part of the payment when selling a private company is often linked to maintaining turnover and margin. 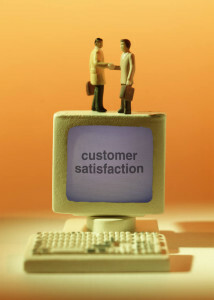 This means customer retention has become a crucial issue for sellers as well as buyers. Making sure that customers stay on after a change of ownership has always been a critical issue for buyers of private companies, but in the current market it has become a significant preoccupation of sellers as well. Banks no longer provide finance for the purchase of goodwill in the small to medium company sector. This means that for most transactions a substantial portion of the selling price will be on deferred terms. In most cases the buyer will try to link the payment of the deferred consideration to the retention of customers and turnover. What Does This Mean For Private Company Sellers? This new reality means that it is critical for the seller to guide customers through the transition, and provide reasons for them to remain with the business. The fact that you have a financial stake in the success of the company after the deal closes is one important motivation, but it’s also the right thing to do for the customers, the new owner and your own reputation. What Are The Key Steps In Maintaining Customer Loyalty After A Change Of Ownership? Get your initial communication out as soon as the transaction closes. You don’t want important customers learning about the sale from the press, or worse still competitors. You want customers to be well informed, and to base their decisions on facts, so the earlier you can communicate information the better. The most important accounts should be informed in a personal phone call within hours of the sale. Try to arrange a visit accompanied by the new owners in the first week after closing. Make sure to communicate the benefits to them of the acquisition – financial strength, more resources, broader range of services etc. Be sure to emphasise that the new owners are committed to the same high levels of service. Customers will have specific concerns during an ownership transition according to their own circumstances, and you are in the best place to know what they are likely to be. Be sure to address in collaboration with the new owner any concerns about existing pricing arrangements, contracts or service agreements. If it is at all practical it never does any harm to give a guarantee of maintaining existing prices for 12 months after the change of ownership. It is important that you come across as enthusiastic about the sale, and confident in the new owner’s abilities. Introduce the owner in a short statement that conveys your confidence in his/her expertise and plans for the company. You might also want to explain your reasons for selling the business, what your plans will be after you leave and the role you will play during the transition. The key is to build customers’ continued confidence in the business and instil their confidence in the new owner.